Frontier, the developer of Elite Dangerous, Planet Coaster, and Jurassic World Evolution, will announce its new franchise later this year. The new title will be part of an as-yet unannounced first-party IP, and Frontier says that it’s on track for release some time in 2019. That information comes from Frontier’s interim financial report for the six months leading up to the end of November 2018. According to the report, those six months were Frontier’s most successful to date, thanks to the successful launch of Jurassic World Evolution and the ongoing success of the studio’s other major titles. As for what that new game might be, however, it’s anybody’s guess. We know that it’s an in-house IP, so no movie tie-ins this time, but there are very few other clues to go on. Frontier is known for Tycoon-style management games thanks to Planet Coaster and JWE, but one of its biggest titles is a massive space game allowing players to invest heavily in both trade and combat, so that’s no help. 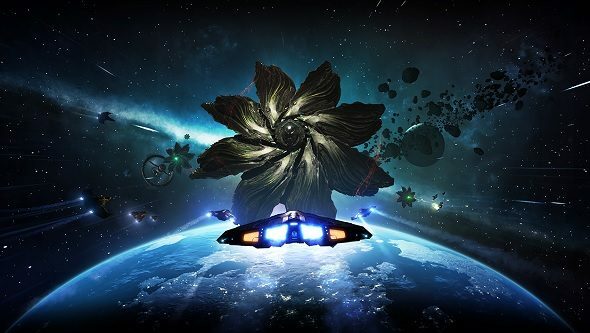 Perhaps the existence of Elite Dangerous rules out anything too MMO or space-related – Frontier is unlikely to want to step on the toes of one of its flagship titles. Thoughts within the PCGamesN office suggest the team is unlikely to be making a shooter, but that some sort of strategy or 4X title might not be too out of place. Needless to say, however, that’s all just speculation. If a 2019 release is still on the horizon, then I’d hope we’ll get some more concrete information about what this new franchise is relatively soon, and that we might actually get our hands on it some time in the autumn. Again though, that’s just a guess.